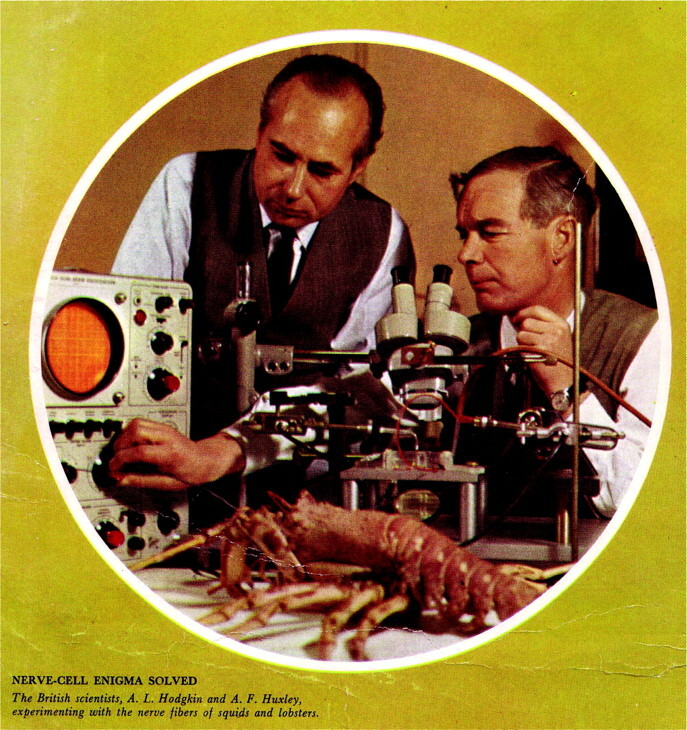 The cover of the 1963 Nobel Prize Programme Huxley, left, looks on as Hodgkin adjusts a brand-new Tektronix 502A oscilloscope. Together with John Carew Eccles (27 January 1903–2 May 1997), Andrew Fielding Huxley (22 November 1917) and Alan Lloyd Hodgkin (5 February 1914–20 December 1998) won the 1963 Nobel Prize in Physiology or Medicine ‘for their discoveries concerning the ionic mechanisms involved in excitation and inhibition in the peripheral and central portions of the nerve cell membrane' Programme provided by Deborah Hodgkin. Lobsters were used in the experiments resulting in the Nobel Prize. K. MacVittie, J. Halámek, L. Halámková, M. Southcott, W.D. Jemison, R. Lobel, E. Katz. From “cyborg” lobsters to a pacemaker powered by implantable biofuel cells. Energy & Environmental Science 2013, 6, 81-86. Lobsters were used in the experiments as well. See also a movie. 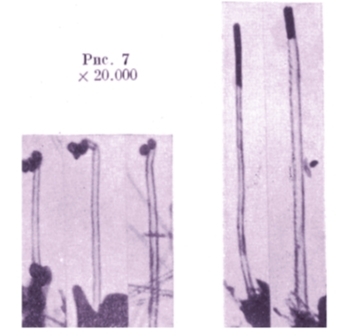 In 1952 Radushkevich and Lukyanovich published clear images of 50 nanometer diameter tubes made of carbon in the Russian Journal of Physical Chemistry. 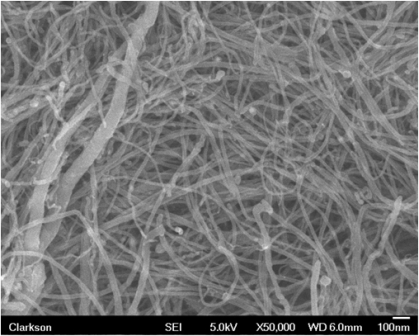 According to the present terminology they discovered multi-wall carbon nanotubes (MWCNTs). This discovery was largely unnoticed because the article was published in the Russian language: L.V. Radushkevich, V.M. Lukyanovich, O strukture ugleroda, obrazujucegosja pri termiceskom razlozenii okisi ugleroda na zeleznom kontakte. Zurn. Fisic. Chim. 1952, 26, 88-95. SEM image of the buckypaper used as the conductive support for the enzyme-modified electrodes. These electrodes were used in many of our recently published papers.